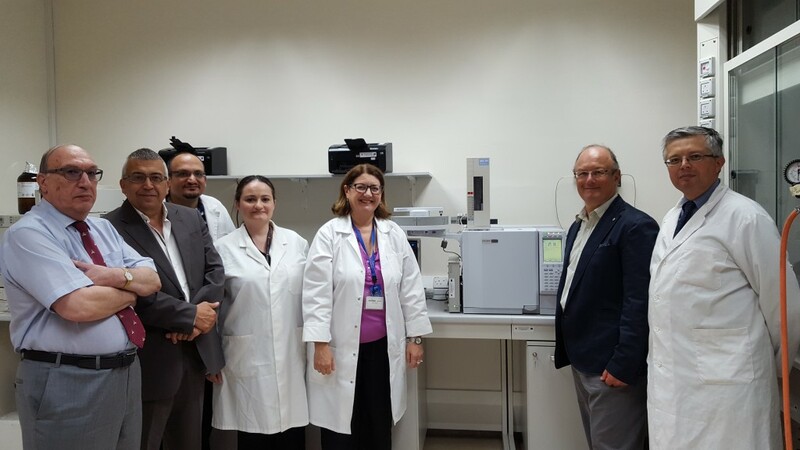 Technoline Ltd, agents for Shimadzu analytical equipment, has donated a new Gas Chromatograph (GC) to the Department of Clinical Pharmacology and Therapeutics of the University of Malta. The donated equipment is an indispensable tool in the ongoing research projects within the department, particularly in the monitoring and measurement of drug level in biological samples from patients. 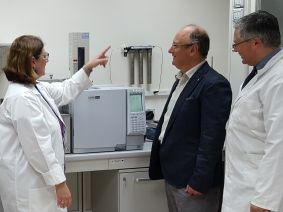 The donation was made through the Research Trust (RIDT) of the University of Malta which has been set up to facilitate public and private donations towards all areas of research within the various departments of the University. Prof. Janet Mifsud, from the department emphasised that this donation is advantageous in their studies because it will enhance their research potential and will lead to better understanding of pharmacokinetic basis of drug therapy. “This will lead to individualised and better pharmacological therapy for persons and children with difficult to treat Epilepsy” said Prof. Mifsud.